This week’s case summaries include a number of cases worth reading. Notably, in the matter of Marin v. Dave & Buster’s Inc., out of the Southern District of New York, the court denied a motion to dismiss an ERISA Section 510 claim (which prohibits discrimination against a participant for exercising rights provided by an employee benefit plan) based on the allegation that the employer reduced Plaintiff’s hours so that she would not qualify for medical coverage. The plaintiff in this case alleged that the employer reduced her hours because compliance with the Affordable Care Act would cost millions of dollars and it planned to reduce its full-time workforce to avoid the increased costs. The court rejected Defendants’ argument that an employee has no entitlement, and thus no legally sufficient claim, to benefits not yet accrued, and that a plaintiff must show more than lost opportunity to accrue additional benefits to sustain a § 510 claim. Complaint alleging that employer reduced employee’s hours for the purpose of disqualifying her for medical coverage adequately alleges Section 510 violation. Marin v. Dave & Buster’s, Inc., No. 15 CIV. 3608 (AKH), __F.Supp.3d___, 2016 WL 526542 (S.D.N.Y. Feb. 9, 2016) (Judge Alvin K. Hellerstein). Plaintiff alleged that her former employer, Dave & Busters (“D & B”), violated section 510 of ERISA by reducing her hours from full-time to part-time in order to disqualify her for health benefits. According to Plaintiff, in June of 2013, in response to the enactment of the ACA in March of 2010, the D & B Times Square store managers told employees that compliance with the ACA, after its effective date of January 1, 2015, would cost as much as two million dollars, and that to avoid the costs, the location planned to reduce its full-time employees at the Times Square store from more than 100 to approximately 40. As a result of D & B’s reduction of her hours after June 1, 2013, Plaintiff lost eligibility for medical and vision benefits. Defendants moved to dismiss the complaint, arguing that Plaintiff’s theory of liability fails as a matter of law under Section 510. The statute provides that: “It shall be unlawful for any person to discharge, fine, suspend, expel, discipline, or discriminate against a participant or beneficiary for exercising any right to which he is entitled under the provisions of an employee benefit plan … or for the purpose of interfering with the attainment of any right to which such participant may become entitled under the plan …” The court found that Plaintiff alleged a legally sufficient claim for relief that Defendants’ curtailment of her hours discriminated against her “for the purpose of interfering with the attainment” of a right to which Plaintiff “may become entitled” under the employee benefit plan of which she was a participant. Specifically, Plaintiff alleges that Defendants intentionally interfered with her current health-care coverage, motivated by Defendants’ concern about future costs that would become associated with the plan’s health-care coverage. The court found that Plaintiff put forward factual allegations supporting her claim that the employer had the specific intent to interfere with her right to health insurance. Defendants argued that an employee has no entitlement, and thus no legally sufficient claim, to benefits not yet accrued, and that a plaintiff must show more than lost opportunity to accrue additional benefits to sustain a § 510 claim. The court rejected this argument, finding that Plaintiff alleges that Defendants’ discrimination affected her current benefits, in addition to interfering with her ability to attain future benefit rights. This claim arises from the employer’s unlawful motivation, acting to interfere with either the exercise or the accrual of benefits to which Plaintiff may become entitled. The court denied Defendants’ motion to dismiss. Court orders restitution to 401(k) plan where fiduciary failed to deposit withheld contributions to the plan. Perez v. Kwasny, No. CV 14-4286, 2016 WL 492433 (E.D. Pa. Feb. 9, 2016) (Judge Eduardo C. Robreno). The Secretary brought this action to restore $40,416.30 in losses (plus prejudgment interest) sustained by the Kwasny and Reilly, P.C., 401(k) Profit Sharing Plan and to obtain other injunctive relief. Kwasny, a managing partner of the law firm of Kwasny & Reilly, P.C. and a trustee and fiduciary of the Plan, withdrew contributions from his employees’ paychecks but purposefully failed to deposit those contributions into the Plan in a timely manner. Further, Kwasny directed that the withheld contributions be commingled with the general assets of the Firm and be used for the benefit of the Firm. The court granted the Secretary’s motion for summary judgment and denied Kwasny’s cross-motion for summary judgment where he raised four defenses. First, Kwasny claimed that the action was barred by the three-year statute of limitations. The court concluded that receiving calls in 2006 and 2010 of possible ERISA violations regarding an unidentified plan did not provide the Secretary with actual notice of Kwasny’s fiduciary duty violations. The Secretary received actual notice when he received evidence documenting the breaches and that occurred within the applicable statute of limitations. Second, the Secretary’s suit is not barred by the doctrine of claim preclusion based on a private suit brought by an employee where the Bucks County Court of Common Pleas awarded punitive damages against Kwasny in the amount of $32,677.15 to be awarded to Haft. Because the actual judgment in the case was based solely on the punitive damages order, the court found no need to offset that award against the funds sought in this case as Haft was not awarded judgment on his underlying claims regarding his withheld Plan contributions. Third, Kwasny’s law partner is not an indispensable party requiring dismissal of the suit since ERISA fiduciaries may be held jointly and severally liable. Lastly, the United States is not subject to the defense of laches in enforcing its rights. Substantial attorneys’ fees and costs awarded to ERISA plaintiff whose attorneys achieved “enviable success” on claim for denied medical treatment. Dragu v. Motion Picture Indus. Health Plan for Active Participants, No. 14-CV-04268-RS, __F.Supp.3d__, 2016 WL 454066 (N.D. Cal. Feb. 5, 2016) (Judge Richard Seeborg). In this matter, the court previously granted summary judgment in favor of Plaintiff on her claim for denied medical treatment for injuries she sustained to her jaw, mouth, teeth, and gums. On Plaintiff’s motion for attorneys’ fees, wherein the court noted that “Dragu’s attorney, James Keenley, helped his client significantly… and achieved enviable success”, the court ordered the defendant plan to pay Dragu $114,570 in attorneys’ fees and $666.39 in costs and expenses. Keenley and members of his firm devoted 215.91 hours to this case and sought to recover for 199.65 hours of work. The court found that a rate of $600/hour is reasonable and within market range for attorneys of Keenley’s caliber. The rate was supported by local ERISA practitioners: Jeffrey Lewis, Daniel Feinberg, Glenn R. Kantor, Terrance Coleman, and Michelle Roberts. The court only minimally reduced the time sought by Plaintiff, including: 1.45 hours spent mooting and preparing for the hearing for summary judgment; 5.35 hours to account for some inefficiency in reviewing various documents; 1 hour for some inefficiency for reviewing notice and preparing some documents; and .9 hours spent consulting with colleagues on some issues. 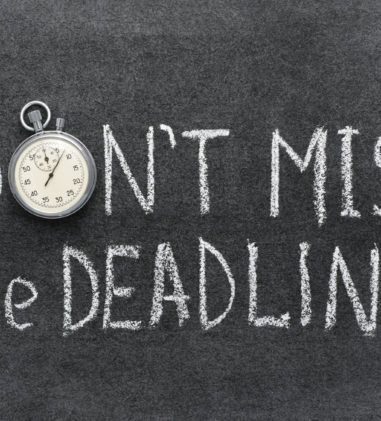 Notably, the court declined to reduce time spent on alleged “clerical or administrative tasks” such as reviewing notices from the court, preparing documents for service, and revising an opposition brief. The court also awarded time spent consulting with his colleagues and devoting large chunks of time to a single task, which the Plan unsuccessfully argued was “block billing.” The court rejected the Plan’s argument that the fee request should be reduced because the requested fees are not proportional to the total amount at issue, approximately $25,288. The court noted that ERISA does not require attorneys’ fees to be proportional to the total recovery and courts routinely award fees in excess of the ERISA plaintiff’s total recovery. Claims dismissed due to ERISA preemption, jury demand struck, but claimant entitled to discovery. Murphy v. First Unum Life Insurance Company, No. 15-CV-820 (SJF)(SIL), 2016 WL 526243 (E.D.N.Y. Feb. 9, 2016) (Judge Sandra J. Feuerstein). Plaintiff filed a multi-count complaint against First Unum for its denial of her long-term disability benefit claim. First Unum moved to dismiss. The court granted First Unum’s motion, in part, including dismissal of Counts I (breach of contract), III (bad faith and punitive damages) and IV (negligence and punitive damages) because of ERISA preemption. The court struck Plaintiff’s jury demand and found that the arbitrary and capricious standard of review applies to the administrator’s benefits decision. The court denied First Unum’s motion for a declaration that Plaintiff is not entitled to discovery beyond the administrative record. The court ordered that Plaintiff is permitted to conduct discovery into the extent of Defendant’s conflict of interest, but not into the merits of Defendant’s decision to terminate Plaintiff’s LTD benefits. LTD claim remanded to Hartford to obtain complete Functional Capacity Evaluation or less strenuous Independent Medical Evaluation. Tortora v. Hartford Life & Accident Ins. Co., No. CV 6:15-2471-HMH, 2016 WL 462431 (D.S.C. Feb. 8, 2016) (Judge Henry M. Herlong, Jr.). Plaintiff argued, and the court agreed, that Hartford abused its discretion by failing to obtain a completed FCE or IME. 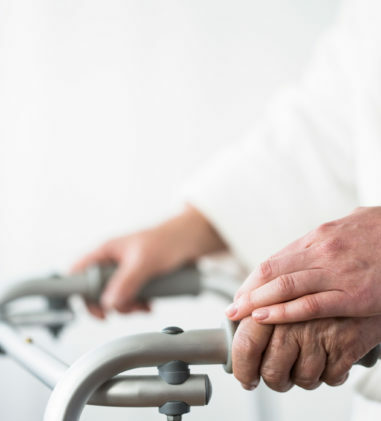 While Plaintiff’s long-term disability claim was pending, Hartford ordered an FCE, which was terminated early due to his heart rate and blood pressure remaining too high to continue with the FCE. Hartford instructed the medical facility that conducted the incomplete FCE to schedule another FCE but it was never conducted. Hartford did not obtain an IME, a less strenuous examination. Instead, Hartford obtained another independent physician peer review report, and later affirmed its termination decision of Plaintiff’s LTD benefits. In the appeal denial letter, Hartford stated it discontinued its efforts to obtain a completed FCE or any other independent assessment of functionality based on the claim history of unsuccessful attempts to measure Plaintiff’s level of functionality. The court found that the administrative record as a whole is inadequate to conduct a meaningful review. Hartford argued that it was not required to obtain a completed FCE or IME but the court found that the Policy does not expressly bar a file review by an independent peer physician in lieu of an FCE or IME. 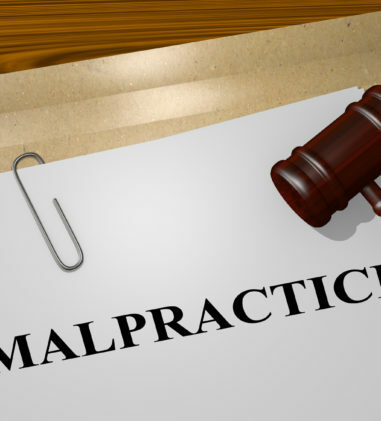 The court cited to other courts that have found that the failure to conduct a physical examination – especially where the right to do so is specifically reserved in the plan – may, in some cases, raise questions about the thoroughness and accuracy of the benefits determination. The court found that Hartford relied on two independent peer medical file reviews that are inconsistent with the treating physician’s diagnosis and Hartford failed to conduct an FCE or IME to address the relevant and lingering questions regarding Plaintiff’s functionality. While it is not an abuse of discretion to deny benefits when conflicting medical reports exist, there is a requirement for there to be adequate materials and substantial evidence upon which the benefits decision must rely. The court concluded that substantial evidence did not exist and a more deliberate and principled reasoning process should have been conducted in order to obtain adequate materials for several reasons. The court remanded the case to Hartford for further consideration and denied Plaintiff’s request that the court award retroactive benefits and attorneys’ fees pending remand. Motion to dismiss for failure to disclose LTD claim in bankruptcy petition denied where evidence plausibly suggests such omission was inadvertent; benefit claim and equitable relief claims permitted to proceed at this stage. McGlasson v. Long Term Disability Coverage for All Active Full-Time & Part-Time Employees, other than those classified by the Employer as Pilots, who are U.S. residents & whose Total Annual Cash Comp. is between $60,000 & $199,999, excluding temporary & seasonal Employees, an ERISA benefit plan, et al., No. 2:15-CV-01512 JWS, 2016 WL 540835 (D. Ariz. Feb. 11, 2016) (Judge John W. Sedwick). In this lawsuit for denied long-term disability benefits, Defendants seek dismissal of Count I (claim for benefits) based upon judicial estoppel because Plaintiff failed to disclose his claim for LTD benefits in his bankruptcy petition. After Defendants filed the motion to dismiss, Plaintiff reopened the bankruptcy petition and argued that judicial estoppel should not be applied because the omission was not intentional. Defendants also seek dismissal of Counts II and III (brought under Section 1132(a)(3)) arguing that Plaintiff is not seeking “appropriate equitable relief” but, rather, is improperly repackaging his benefits-denial claim. The court found that Plaintiff’s evidence is sufficient at this stage to show that there was no intent to conceal his LTD claim in the bankruptcy proceedings on the part of Plaintiff. The court found that it was plausible that Plaintiff’s omission of his potential claims against Defendants was mistaken or inadvertent since he disclosed them to his attorney and listed his LTD benefits in the financial affairs section of the bankruptcy petition. The court concluded that it cannot dismiss Plaintiff’s claim for benefits pursuant to a Rule 12(b)(6) motion based on such a dispute but this does not preclude the parties from pursuing further factual development for further adjudication as to whether judicial estoppel applies. With respect to Plaintiff’s Section 1132(a)(3) claims, the court also declined to dismiss these claims. The court found the relief requested for Prudential’s violation of § 1132(a)(3), in addition to an injunction, is a surcharge to compensate him for extra-contractual losses suffered as a result of Prudential’s breach. The court distinguished Rochow as not addressing the situation in this case. Moreover, Plaintiff specifically alleged that additional monetary relief is necessary to make him whole, and the court cannot determine whether this is true at the motion-to-dismiss stage. The court concluded that it should wait for a more fully developed record and summary judgment before deciding whether the relief sought by Plaintiff under Counts II and III is duplicative of the relief sought by Plaintiff under Count I. Denial of benefits based on incomplete analysis of disability claimant’s job requirements is an abuse of discretion. McMillan v. AT&T Umbrella Benefit Plan No. 1, No. 14-CV-717-GKF-FHM, 2016 WL 528230 (N.D. Okla. Feb. 9, 2016) (Judge Gregory Frizzell). Plaintiff brought suit seeking judicial review of the denial of his claim for short-term and long-term disability under the AT&T Umbrella Benefit Plan No. 1. He contended that the plan administrator denied his claim without considering his ability to perform the cognitive and travel requirements of his position. The court agreed that the administrator denied Plaintiff’s short-term disability claim based on an incomplete understanding of his job duties and, consequently, that its decision was arbitrary and capricious. In denying STD benefits, Sedgwick, the claims administrator, relied exclusively on the reports of its PAs, none of which expressly considered Plaintiff’s ability to perform the cognitive or travel requirements of his position. One doctor concluded that neuropsychological records did not reveal a cognitive abnormality so severe as to render Plaintiff disabled, but the report does not contain any discussion (or recognition) of the cognitive requirements of Plaintiff’s position. Rather, the doctor described Plaintiff’s duties as sedentary with sitting, typing and talking requirements but these requirements are incomplete. The court remanded Plaintiff’s claim back to Sedgwick for further determination. Discovery of plan administrator’s alleged bias and conflict of interest is permitted. Christman v. CoreSource, Inc., et al., No. 2:14-CV-1913, 2016 WL 491830 (S.D. Ohio Feb. 9, 2016) (Magistrate Judge Terence P. Kemp). In this case, Plaintiff is a plastic and reconstructive surgeon who treated a patient for substantial injuries sustained in a motor vehicle accident. The patient’s mother is a participant in the relevant employee welfare benefit plan and she assigned her plan rights to Plaintiff. Reid is the plan’s administrator, and CoreSource, Inc. is the plan’s claims processor. The plan paid Plaintiff only a small portion of the services it provided to the patient. Plaintiff filed a motion to compel, asserting that he is entitled to conduct discovery beyond the administrative record concerning Reid’s alleged bias and conflict of interest. The court granted the motion to the extent that Plaintiff is allowed limited discovery only into Reid’s alleged bias and conflict of interest. In granting the motion, the court found that the administrative record possesses enough evidence of bias or conflict of interest to justify the requested discovery. Specifically, communications plausibly showed that Reid offered a false reason for delaying a decision because it was working to find a basis upon which to deny Plaintiff’s claim. Additionally, Reid’s use of Ellis Consulting, which resulted in Reid reversing CoreSource’s initial processing of the claim, appeared to have led to a departure from the typical administration of a claim. Michigan ban on discretionary clauses does not apply to LTD policy not issued or delivered to a person in Michigan. Mellian v. Hartford Life and Accident Insurance Company, No. 14-10867, 2016 WL 552723 (E.D. Mich. Feb. 12, 2016) (Judge Gerald E. Rosen). In 2007, Michigan adopted an insurance regulation stating that “a discretionary clause issued or delivered to any person in this state in a policy, contract, rider, indorsement, certificate, or similar contract document is void and of no effect.” Mich. Admin. Code R. 500.2202(c). 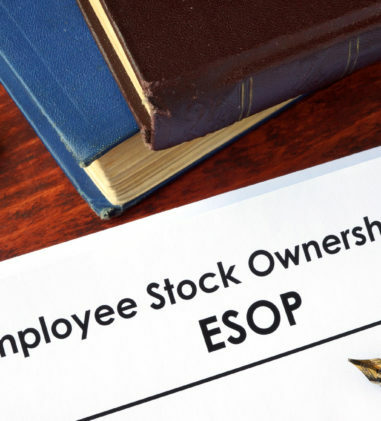 Where it applies, operates to override a clause in an insurance policy that otherwise would confer discretionary authority on an ERISA plan administrator and thereby trigger arbitrary and capricious review. 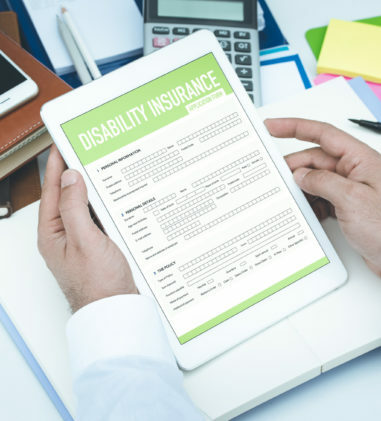 In this case, Plaintiff argued that this regulation required de novo review of her long-term disability claim, but the court agreed with Hartford that this state insurance rule is not applicable here. The court explained that Rule 500.2202(c) applies only to a “policy, contract, rider, indorsement, certificate, or similar [insurance] contract document” that is “issued or delivered to” a person in Michigan. Mich. Admin. Code R. 500.2202(c). The LTD Policy in this case expressly states that it was issued by Defendant to Plaintiff’s employer, Atkore International, and that a copy of the Policy is available for review in Atkore’s office located in Harvey, Illinois. Because of this, the court found that the Policy was not issued in Michigan, nor is there any evidence that it was delivered to any individual in Michigan. Claims by hospital against ERISA health plan administrators not preempted by ERISA. Post Acute Specialty Hosp. of Corpus Christi v. Baker Benefits Administrators, Inc., No. 2:15-CV-494, 2016 WL 525481 (S.D. Tex. 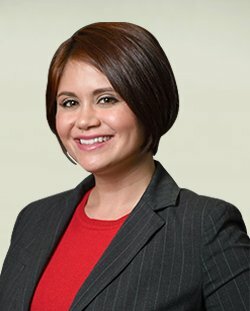 Feb. 8, 2016) (Judge Nelva Gonzales Ramos). The Plaintiff Hospital filed suit in state court against Defendant payment negotiators and administrators for charges incurred over several months in the treatment of a patient who had been injured in a motor vehicle accident. The Hospital alleged that Defendants affirmatively represented that the charges would be paid and even entered into a contract for prompt payment in exchange for a reduction in the amount of the bill. But then, Defendants issued Explanations of Benefits (EOBs) denying coverage under the patient’s ERISA Plan and subsequently refused to pay. Some of the EOBs specifically stated that coverage was denied because the injuries were related to substance abuse and were therefore excluded from insurance coverage. Defendants also relied on a felony exclusion. The court granted the Hospital’s motion to remand, finding that the lawsuit was not preempted by ERISA. On the face of the complaint, the Hospital is not suing a Plan Administrator under the patient’s assignment of benefits for Plan benefits. Rather, the Hospital sues as an independent victim of Defendants’ alleged commercial misrepresentations, without reliance on any status as assignee of the patient’s rights. Further, the Hospital does not seek Plan benefits but only seeks to recover against an entity other than the Plan for misrepresenting a payable amount that may or may not be measured by available Plan benefits. 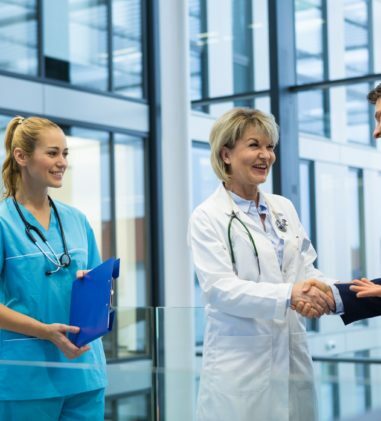 The court found that this is a non-derivative action stating state law claims independent of actual Plan coverage and that ERISA does not govern this relationship between healthcare providers and the insurance companies that supply ERISA plan benefits. Claim is “incurred” when a service is rendered, not when the Hospital decides to bill for the services. Perris Valley Cmty. Hosp., LLC v. S. California Pipe Trades Admin. Corp., No. 14-55408, __Fed.Appx.__, 2016 WL 492335 (9th Cir. Feb. 8, 2016) (Before WARDLAW and HURWITZ, Circuit Judges and RICE, District Judge). Perris Valley Community Hospital LLC is an assignee of a participant in the Southern California Pipe Trades Administrative Corporation and the Southern California Pipe Trades Health and Welfare Fund. Months after the participant reached the Plan’s $500,000 lifetime benefits cap in December 2008, the Fund issued a Supplement to the Plan supplying additional coverage for “claims incurred since January 1, 2009.” The Fund paid the Hospital’s claims for services rendered to the patient in January 2009, but refused to pay for charges incurred in December 2008 after the lifetime limit had been reached. The Ninth Circuit affirmed the district court’s grant of summary judgment in favor of the Fund, finding that it reasonably rejected the Hospital’s argument that “claims incurred since January 1, 2009” includes claims for services provided in 2008 but not submitted to the Fund until after January 1, 2009. 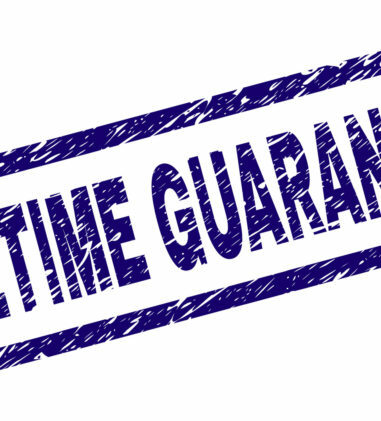 Pre-employment promise of extra years of service is not enforceable and claim waived by release agreement. Pearson v. Firstenergy Corp., No. 5:14-CV-634, 2016 WL 471859 (N.D. Ohio Feb. 8, 2016) (Judge Sara Lioi). In this case, Plaintiff alleged that he was promised a special retirement program when he accepted employment with Duquesne Light Company. The special arrangement was that he would be given 10 years of service after 5 years of employment. Duquesne was subsequently required by FirstEnergy Corp. (“FE”). Plaintiff was later laid off and signed a release of claims in exchange for a severance payment. Close to his benefit commencement date, Plaintiff received a benefit statement and then disputed the projected calculation with the FE Pension Plan Administrator. The Plan Administrator denied Plaintiff’s request to be credited with additional service. Plaintiff brought suit alleging both a claim for benefits under 29 U.S.C. § 1132 and for breach of fiduciary duty. The court granted Defendants’ motion for summary judgment and dismissed the first amended complaint with prejudice. The court found that the application of the “two-for-one” arrangement with Duquesne would not be permitted under FE’s qualified ERISA plan. 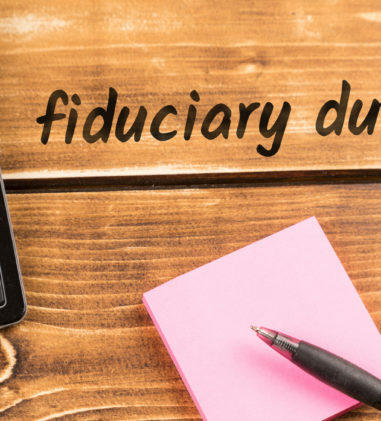 With respect to the breach of fiduciary duty claim, the court found that Plaintiff was merely a “potential employee” at the time he negotiated the terms of employment. 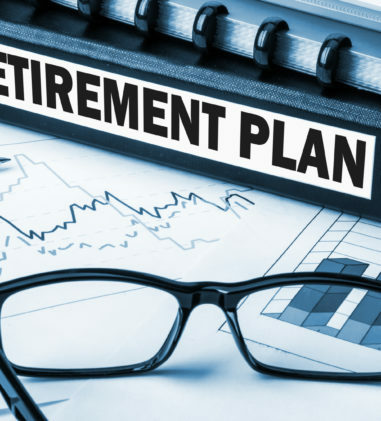 Because he was not yet a participant in the FE Pension Plan, Defendants owed no fiduciary duty to him, and, as a result, the pre-employment representations, both oral and in writing, are legally insufficient to support his ERISA breach of fiduciary claim. 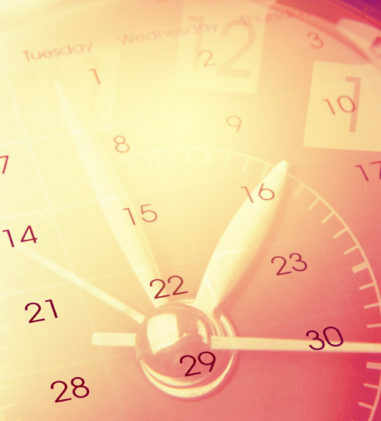 The court further concluded that Plaintiff’s breach claim is time-barred. Even under Plaintiff’s more generous “discovery rule,” instead of § 413’s more restrictive “time of the breach” rule, the action was still not filed within the six-year limitations period. Lastly, the court found that the release agreement Plaintiff signed contains a waiver that validly releases the ERISA claims contained in the first amended complaint. When Plaintiff signed the release he knew he was not receiving the benefit of the “two-for-one” agreement. In order to assure that the Corporation will have sufficient assets to meet its obligation to pay the death benefits provided for under this Plan, the Corporation may wish to purchase life insurance policies from Principal National Life Insurance Company or Principal Life Insurance Company, Des Moines, Iowa. The Secretary shall, as directed by the Board of Directors, apply for insurance policies on the lives of Participants. The Corporation shall be designated as owner and the beneficiary of any such policies purchased and all rights and benefits accruing from such policies shall belong solely to the Corporation. The Participant shall have no rights or interest in such policies. Defendant Causley, the company’s owner and president, was named as the Death Benefit Plan’s fiduciary and plan administrator. The decedent entered into an agreement under the plan that same day. Pursuant to the agreement, if a participant dies while employed by Causley Trucking, the Corporation shall, beginning on the month following the participant’s death, make payments in the amount of no less than the cash value of the policy in equal installments over 10 years to the participant’s surviving spouse while living. The court rejected the contention that the Death Benefits Plan is ephemeral, contingent, or wholly discretionary. Instead, the court determined that the Plan was an ongoing, non-contingent plan established to pay death benefits in the amount of at least the minimum cash value of the policy. The Death Benefits Plan establishes both the nature of the benefits (death benefits) and the amount of the benefits (at least the cash value of the policy), such that there is no danger that the court would need to fashion any details of the plan or determine what benefits would go to which employees or retirees. Because a reasonable person can ascertain the intended benefits, the court determined that the Death Benefits Plan is an employee benefit plan within the meaning of ERISA, and thus any claims related to the plan are subject to ERISA preemption. Equitable considerations result in denial of prejudgment interest to successful counterclaim plaintiff. Regional Employers’ Assurance Leagues Voluntary Employees’ Beneficiary Association Trust v. Gretchen Hutto Castellano, No. CV 03-6903, 2016 WL 540817 (E.D. Pa. Feb. 10, 2016) (Judge Elizabeth T. Hey). Following a twelve-year court battle, a court awarded the Counterclaim Plaintiff Castellano summary judgment on her claim for VEBA life insurance benefits, which totaled $750,000. Castellano then moved for prejudgment interest on that amount. The court denied the motion. Based on the court’s review of caselaw from the Third Circuit, it found that although there is a presumption in favor of an award of prejudgment interest to fully compensate an aggrieved party in the ERISA context, equitable considerations can overcome that presumption. In this case, the court was moved by the economic reality that other Trust beneficiaries will bear the cost of every dollar that is given to Castellano in prejudgment interest. Specifically, other victims of the “Koresko scheme” will not be in the same position to recover benefits as a result of a shortfall of over $19 million due to the malfeasance of the Koresko Entities. The court concluded that the equities weigh heavily against an award of prejudgment interest and it exercised its discretion to deny such award. However, in a separate opinion, 2016 WL 540794, the court did award attorneys’ fees in the amount of $567,400.26 to be paid from the funds in the SEWBPT and REAL VEBA Trust, to be restored by the Koresko Defendants. ERISA health plan entitled to reimbursement for medical expenses paid and no-fault automobile insurer must reimburse the plan participant. McClure v. United Parcel Service Flexible Benefits Plan, et al., No. 1:14-CV-845, 2016 WL 524109 (W.D. Mich. Feb. 10, 2016) (Judge Gordon J. Quist). Plaintiff sued Defendants, the United Parcel Service Flexible Benefits Plan (the UPS Plan) and State Farm Mutual Automobile Insurance Company (State Farm), seeking declaratory and injunctive relief under ERISA that State Farm-his automobile insurer-is primarily liable for payment of the medical expenses that McClure incurred as a result of a 2011 automobile accident and that, to the extent UPS is entitled to reimbursement for expenses it paid for Plaintiff’s medical care from any third-party recovery that McClure might obtain, State Farm must reimburse Plaintiff for his repayment to the UPS Plan. The court found that the UPS Plan’s Coordination of Benefits clause does not “expressly disavow” claims payable under a no-fault policy. Rather, it simply allows for the reduction of benefits to the extent the participant is entitled to benefits from another source. The court declared that the UPS Plan is entitled to reimbursement from any third-party recovery that Plaintiff obtains, so long as the third party was responsible for the injuries and related medical expenses encompassed in the UPS Plan’s claim for reimbursement, and that the UPS Plan may obtain such reimbursement directly from Plaintiff without intervening in the state-court action. The Court also declared that State Farm is obligated to reimburse Plaintiff for any amount that he is required to reimburse the UPS Plan, to the extent the medical expenses that the UPS Plan paid are within the terms of State Farm’s Personal Injury Protection coverage.